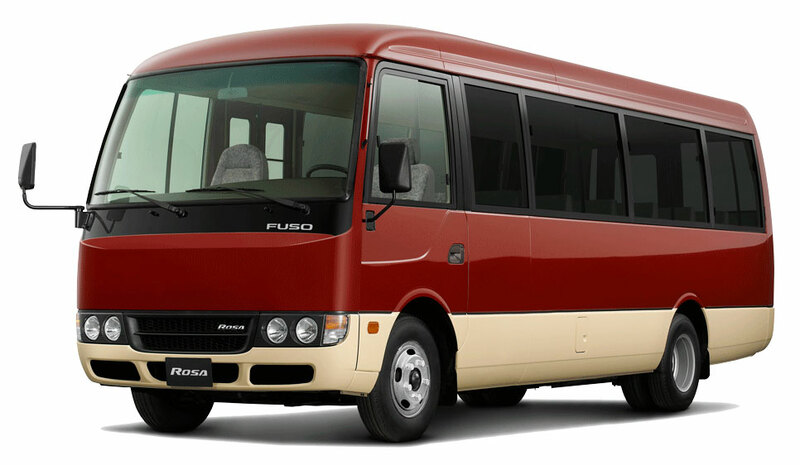 We offer a 25, 29 or 33 Seater Mini Buses (Mitsubishi Rosa or Toyota Coaster) across Kenya. 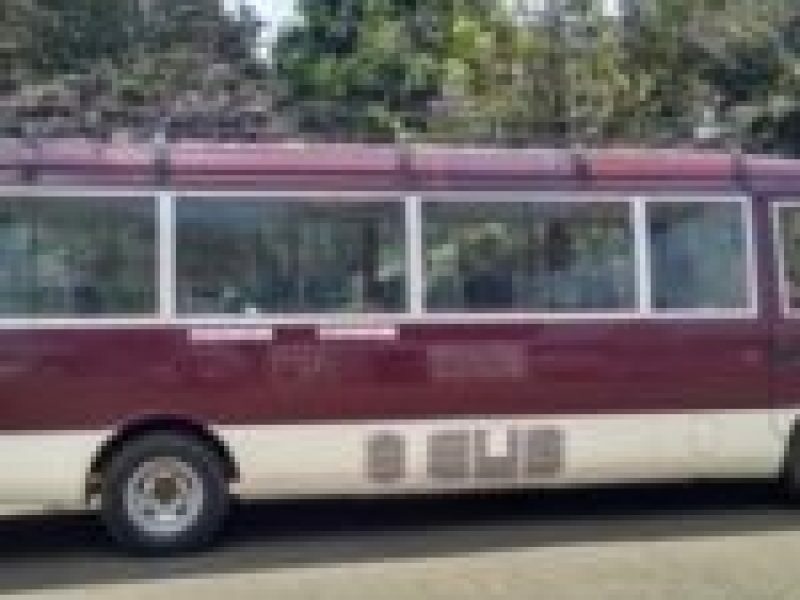 Whether you need a 25 seater bus hire for a school trip, 18 seater Toyota Coster and Mitsubishi Rosa buses hire for an airport transfer or a standard 30 seater Nissan Civilian rental for a sightseeing tour, we can provide you with the pick of the best; plus we guarantee to find you the lowest rate around. We operate a unique system which enables us to offer our customers truly unbeatable prices. 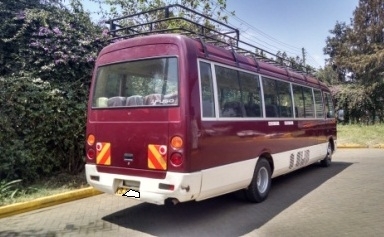 With our extensive experience within the transport industry we have established strong links in Kenya, when you call us to get a bus hire in Kenya, we do all the leg work on your behalf. All of our coaches and minibuses are regularly maintained and are fully equipped with the latest safety features; these include seatbelts, first aid kits and fire extinguishers. If you are embarking upon a long distance journey then you may be interested in hiring one of our fully executive vehicles as they offer a superior level of comfort. 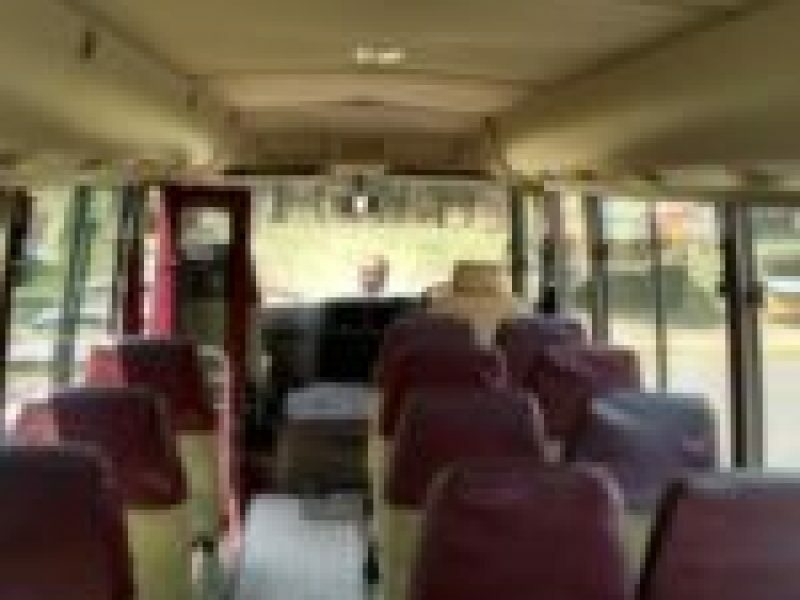 Onboard these luxury coaches you will find reclining seats, DVD/TV system in luxury models, W.C and air conditioning. You willl be sure to have a relaxing trip when you hire one of these vehicles. 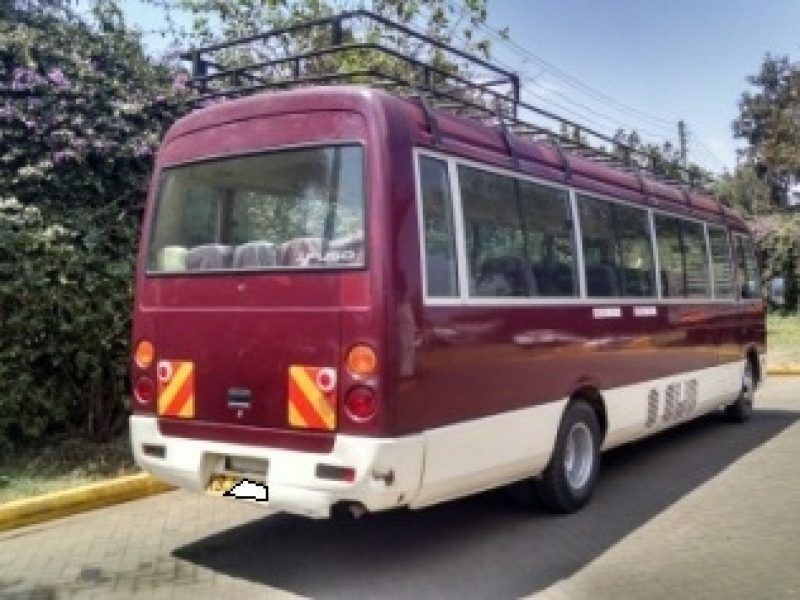 Of course, each of our coaches and buses is supplied along with an experienced driver who will take care of the finer details of your journey. They will be on hand to assist with the loading and unloading of luggage, directions, parking, and scheduling of comfort breaks. 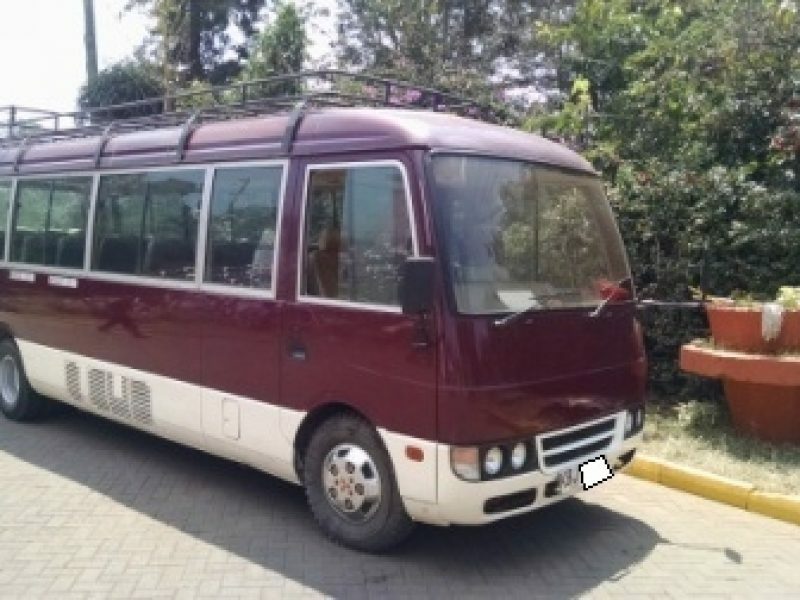 Our coaches and buses for rental are ideal for transporting family, friends or a whole sporting team in Nairobi and Mombasa. Quotations are given on the basis of the direct route and on information provided by the hirer. The route used will be at the discretion of the company unless it has been particularly specified by the hirer in which case it will be clearly shown on the confirmation. All quotations are given subject to the company having available a suitable vehicle at the time the hirer accepts the quotation. Any additional charges will be separately identified and will be the hirer’s responsibility unless otherwise specified. Written authorization should be obtained from Nairobi Car Hire services should the hirer wish to cross a state border. 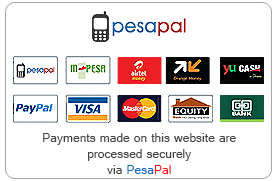 Our rental vehicles will be allowed into Tanzania and Uganda. Nairobi Car Hire services will not accept any responsibility if the hirer is refused entry into another country.